Let’s talk about Hill Haven Heights, OK? I love this area. It is a fabulous neighborhood bordered by North Central Expressway, Hillcrest, Forest, and Royal, so it’s extremely accessible. It’s also full of great single-family homes and a few great condo communities. It’s not far from the Park Cities, Preston Hollow, or the scads of shopping options lining Highway 75. And it’s not out of reach, price-wise, either. 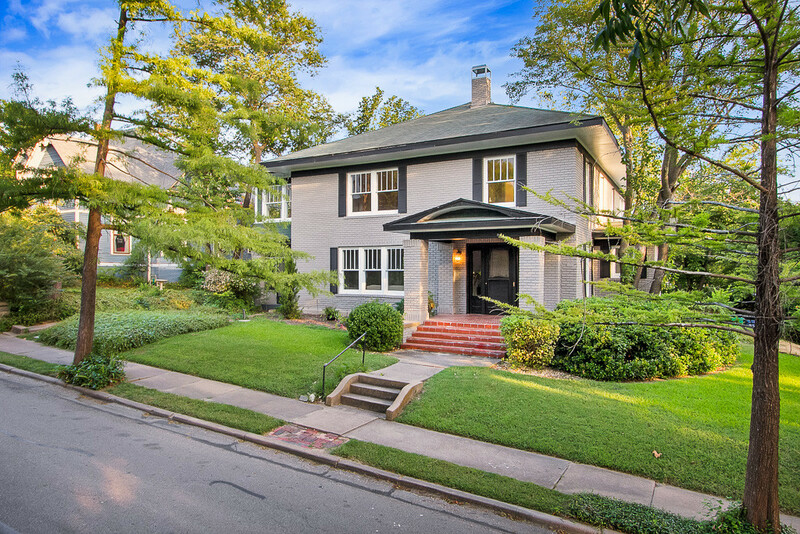 In fact, you should check out this amazing traditional at 7707 Northaven Road marketed by Clay Stapp agent Richard Baker. It’s on the market for a recently reduced $529,000. Considering the upgrades on this home, that’s fantastic! With more than 3,100 square feet, four bedrooms, three and a half baths, and a two-car garage, this home is plenty big for a family. 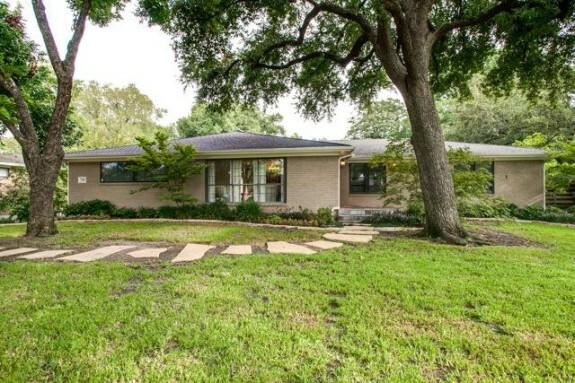 And considering the neighborhood, this is a great house for someone relocating to Dallas. Sometimes it’s hard to find a home like this, that’s move-in ready, plenty of room to move around, and has a family-friendly backyard, pool included. 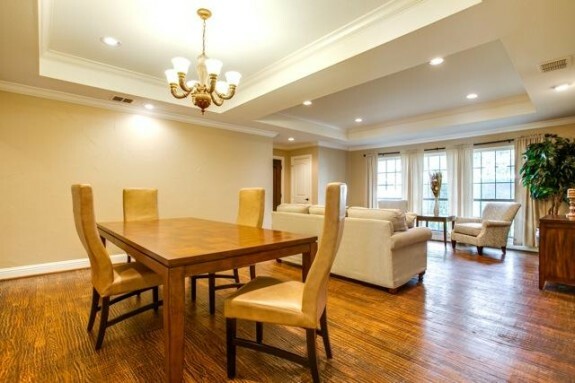 If you’re headed to Dallas for a job transfer, this is the home to buy. 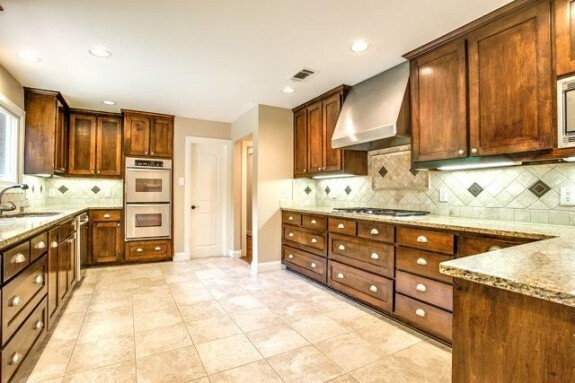 You’ve got granite and travertine, hand-scraped hardwood floors, upgraded kitchen with stainless steel appliances including a wine fridge and custom cabinetry, and two full living areas with an open floor plan. Behind all of that you’ll find practical upgrades such as a radiant barrier insulating the roof, tankless hot water heaters, and a new roof. The large backyard is nothing to sniff at, either. 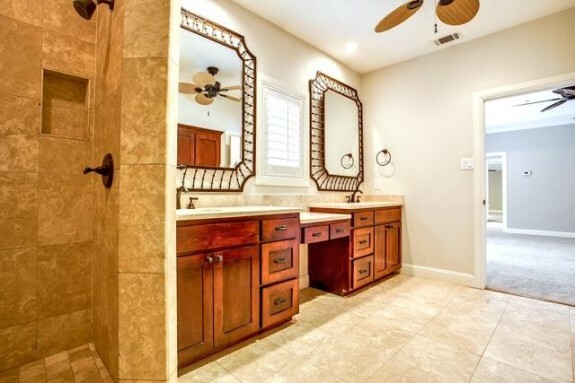 The master suite is spacious and features an upgraded bath, including a ceiling fan. This is an often-overlooked feature that really helps during the summer. In the bedroom area you’ll notice French doors that look to the pool and deck area — another great feature that makes this room a wonderful retreat. And if you’re relocating to Dallas, you’ll probably be overwhelmed by your first summer. 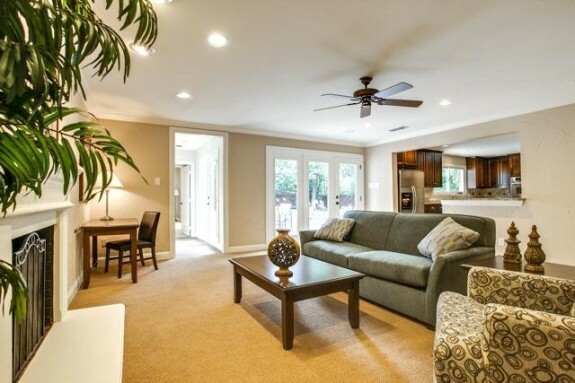 All the more reason to consider this home, which has a great pool for cooling off when the heat reaches triple digits.